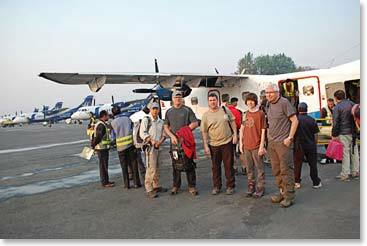 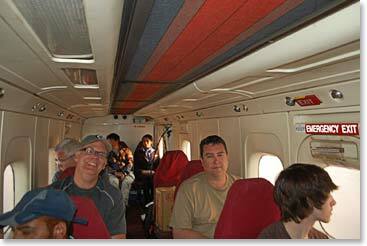 The team prepares to board the plane in Kathmandu. 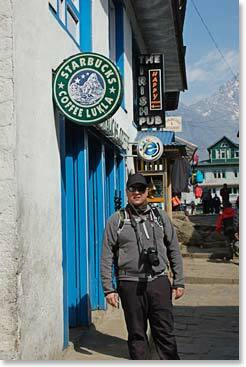 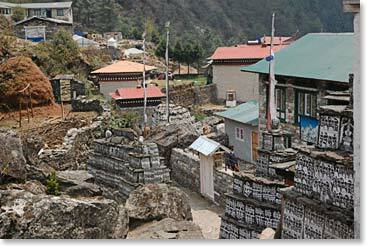 Ryan stands outside of the Starbucks in Lukla. 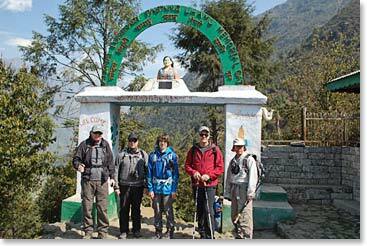 The team excited to begin the trek to Phakding. 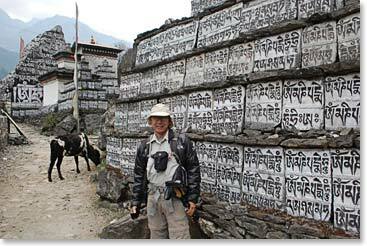 Dave poses by the mani walls on his way to Phakding. 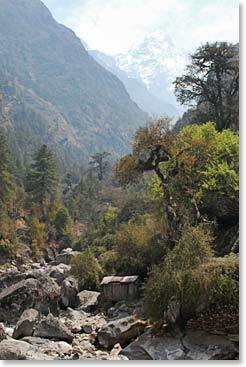 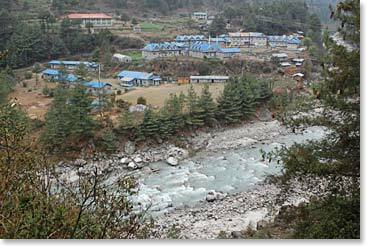 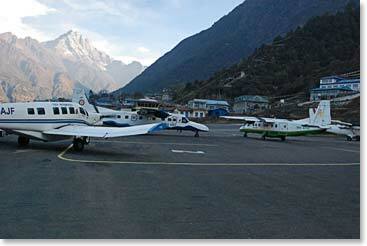 Arriving in Phakding, our home for the night!